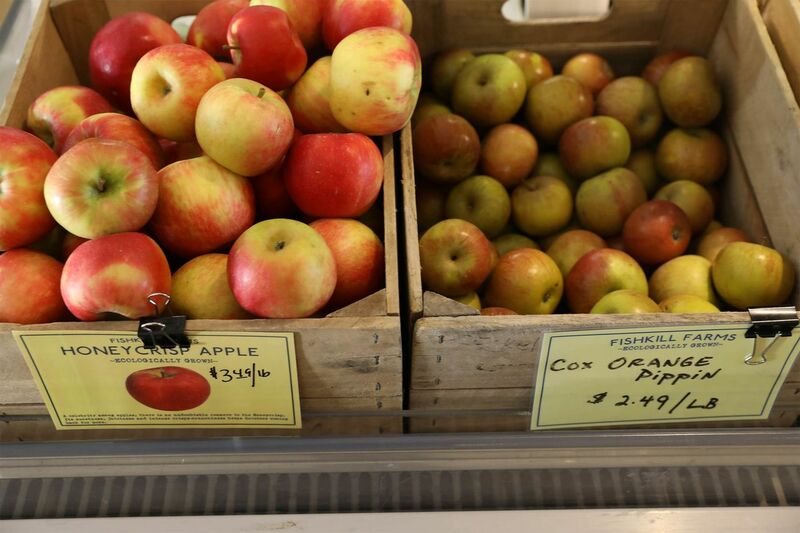 Everyone’s favorite apple is leaving Northeastern orchards out on a limb. Honeycrisp apples at Fishkill Farms in New York. “The first challenge is controlling its vigor,” said Brenda Briggs of Rice Fruit Co., which has been selling apples out of Adams County, Pennsylvania, for more than 100 years. Growers, she explains, have to train the trees so that their branches don’t get too tall too fast, with leaves that block the sunlight from the apples below. The fruit is also vulnerable to bitter pit—small, sunken brown spots that sully an otherwise perfect orb. The flaw is a result of the trees’ inability to properly take up calcium from the soil. Growers are forced to spray their orchards with foliar calcium to boost their intake, but it’s not always enough. Even if a producer manages to grow a decent crop of Honeycrisps, harvesting and storage come with additional hurdles. The variety is so delicate that the stems have to be clipped off so the apples don’t tear each other. And while other apples can go right from tree to cold storage, Honeycrisps must first spend 5-10 days being “tempered” at a mild temperature before they can be refrigerated. “It requires growers to do a lot more work,” Nicholson said. In the end, only 55 percent to 60 percent of the fruit makes it to retail, Seetin said. It also means that even though Honeycrisps cost more than double the price of Red and Golden Delicious apples—at a national average of $2.19 a pound for the month of October—producers aren’t raking it in. 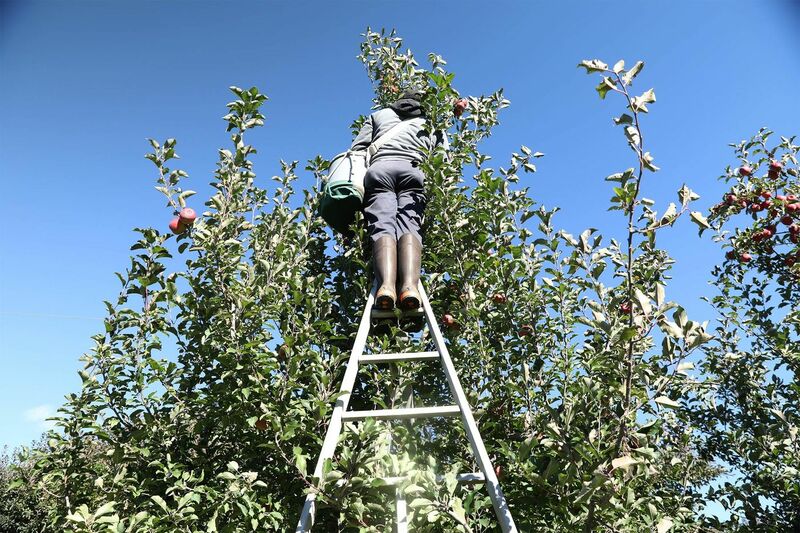 “There’s a higher investment and production cost in places that are not Minnesota,” where the Honeycrisp was originally bred, said Karina Gallardo, an agricultural economist at Washington State University. 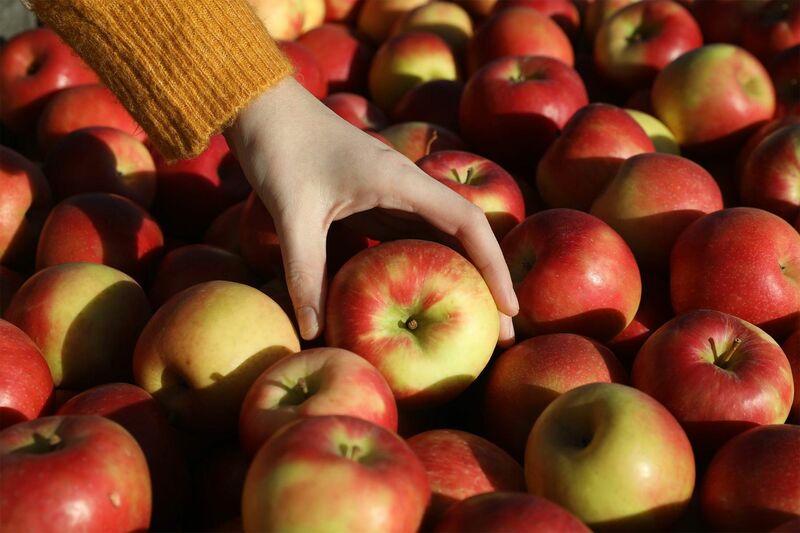 A worker picks apples at Fishkill Farms. So why do farmers put up with the hassle? They simply don’t have a choice. The demand for this one apple exceeds supply—it’s all consumers, and therefore supermarkets, want. So growers are planting with almost reckless abandon, pulling out old varieties, like the tired Red Delicious, and putting in Honeycrisp trees—even in places where they don’t grow well. But it’s not likely to happen soon, said Eric Rama, head of agricultural research at MetLife Inc. Even though production is increasing at a rapid pace, demand for premium apples isn’t waning. Retail prices, though slightly lower than last year’s, have stayed at appealing heights for farmers and probably won’t sink in the foreseeable future, he said. Broetje Orchards in Prescott, Washington, is devoting 10 percent of its 7,000 acres to the non-browning Opal, Paul Esvelt, the orchard’s post harvest manager, told Bloomberg at a New York City event to promote the fruit. That’s the same amount of space the grower sets aside for the Honeycrisp. Esvelt expects 3 percent growth for the Opal next year, while Honeycrisp acreage will remain stagnant. Washington State University plans to introduce the Cosmic Crisp as early as next year, said Gallardo. Tangy, sweet and—as the name implies—crispy, the apple could account for 5 percent to 10 percent of the state’s production. Josh Morgenthau of Fishkill Farms in New York, meanwhile, would like to see more credit given to the Esopus Spitzenburg, a New York original known for its spicy profile and, some say, a particular favorite of Thomas Jefferson’s. Honeycrisp and Cox Orange Pippin apples for sale at Fishkill Farms. Next Post Where will all the climate change refugees go?